There’s nothing worse than having to change a baby in random places all over the house. While a changing table isn’t portable, having some type of changing area in your baby’s room is ideal. 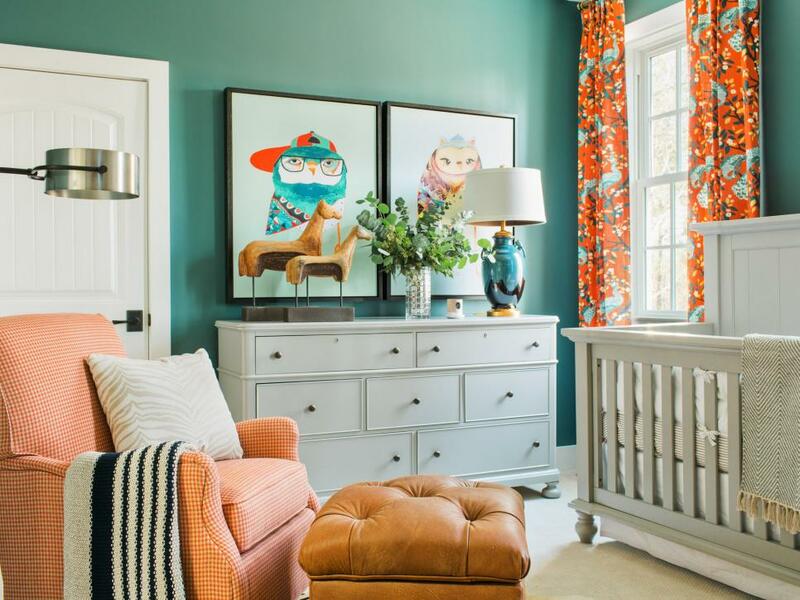 The most popular trends lately include adding a changing pad to the top of a dresser, or converting an entertainment center into a changing center. Utilizing your dresser means having to invest in less furniture on the front end. Once your child is out of diapers and you’ve finished using the changing pad, the dresser space can display art or plants, instead of storing diapers and a changing station. 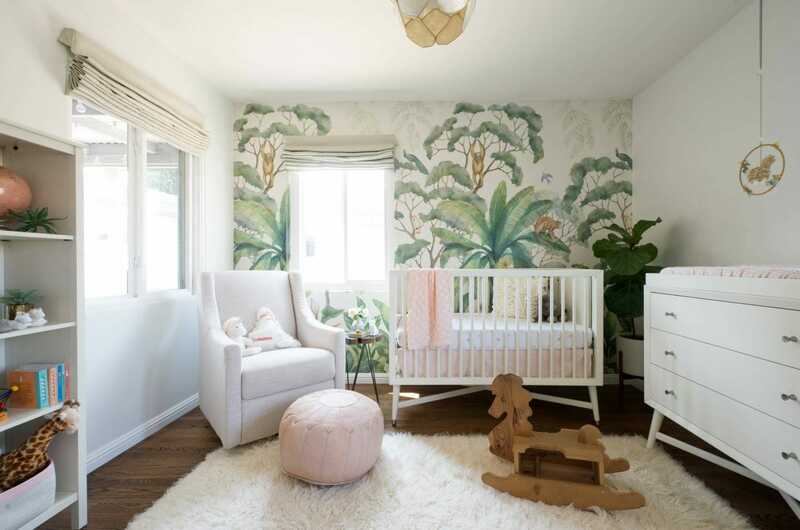 Since babies grow so fast, a lot of parents find it beneficial to choose decor and furniture that can grow with their children. Namely, a crib that converts to a toddler bed and/or a full bed. Additionally, a sofa placed in a child’s room can grow with them. While it doesn’t change shape, it will serve different purposes. To begin with, it will be a place for parents to rest. As the children get older, it can be a place for them to read, relax or play. 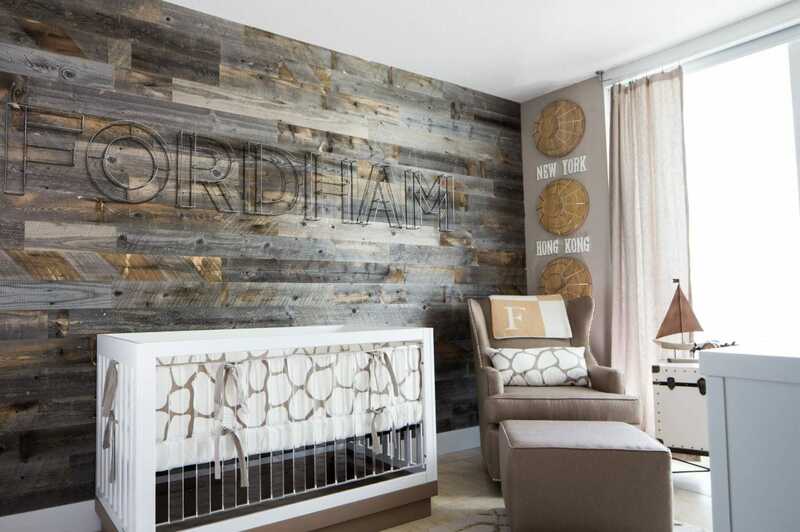 Nursery furniture ideas should include pieces for both baby and the parents. It is important to have something at eye level or seating height for everyone in the room. Babies need items at their level so that they can explore and learn. Besides, tiny little chairs are one of the cutest thing, ever. Parents need something on their own level so that they can join in comfortably. For example, if there is room for a sofa, investing in one for your child’s nursery will allow you to feel more welcome in their space. Especially on those nights when you fall asleep in their room in an attempt to get them to sleep in their own room. By Decorilla interior designer, Lam K.
Babies come in tiny packages, but they use a lot of things! Having a space for each belonging makes parenthood easier. Storage for clothes, toys, blankets, and diapers (including dirty diapers), will be helpful, just to name a few. 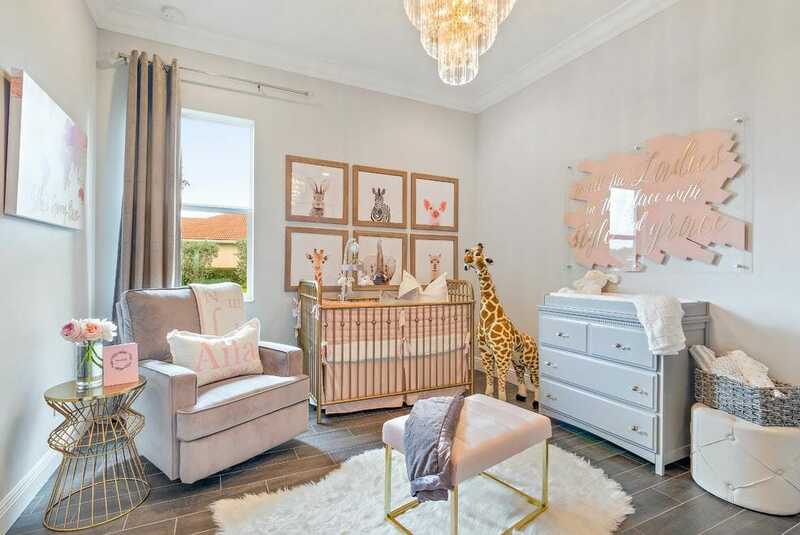 Traditional dressers and armories in matching or coordinating styles create the framework for a nursery. 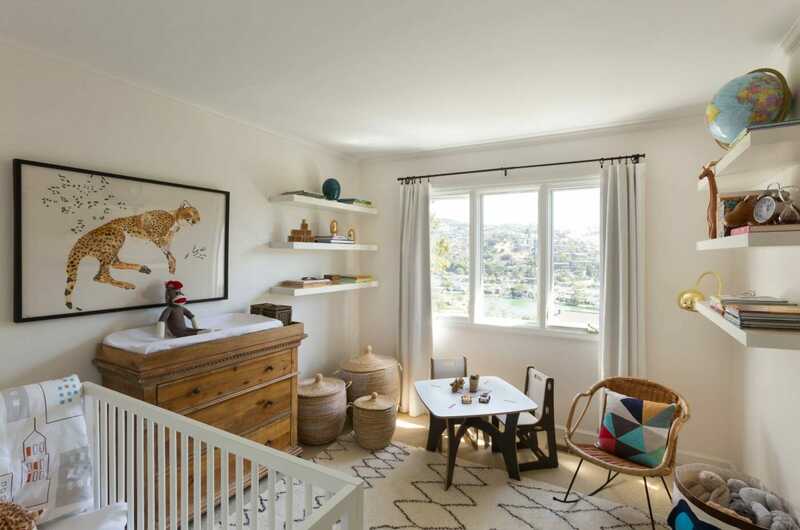 Coupled with accessories such as woven baskets and oversized decorative paper bags, every item in your little one’s nursery will have a place of it’s own. 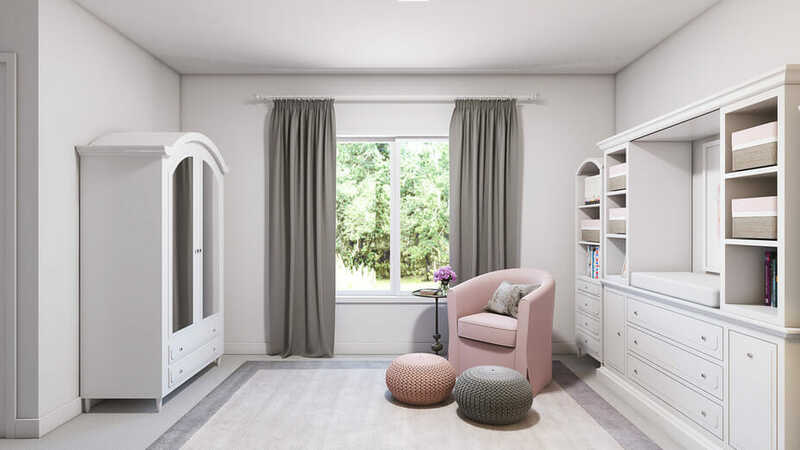 Also, just like you need furniture that is accessible to both the adults and children, storage on several levels is good to have in the room. There are some items that you will want to ensure that your little one’s can’t access. Shelving could help to keep valuable decor away from tiny hands while also storing items. By Decorilla interior designer, Lauren A. Not the show, the baby bed. 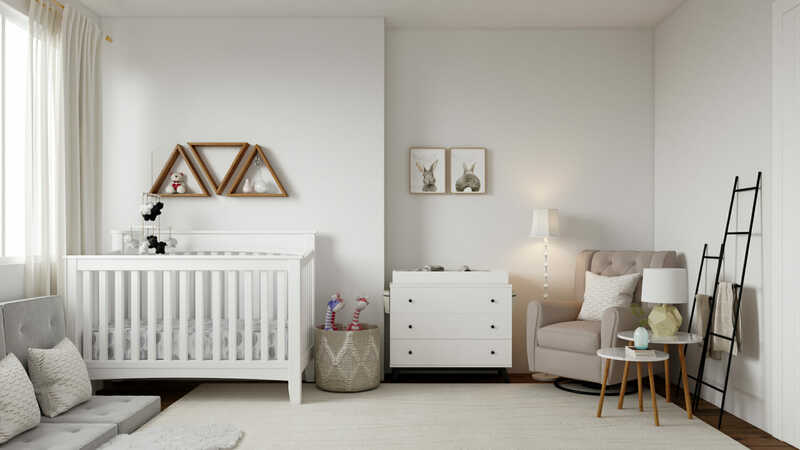 In fact, a crib is usually one of the first pieces parents choose, and it serves as a main focal point in many nurseries. Shape, size, color, and convertibility are four of the most important factors in a baby crib. Will you choose a clear, round crib, or a traditional dark wood stain crib? 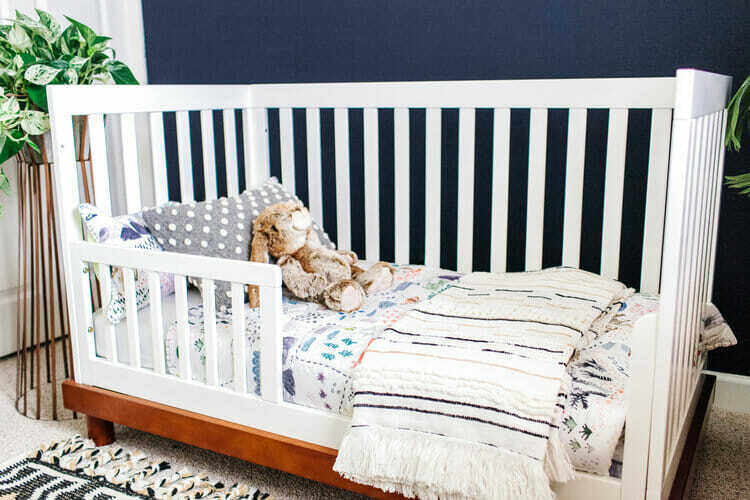 The nursery style will lend a hand in this decision, but whatever you choose, a crib is one of the most essential furniture pieces to include in a new baby’s room. Design by Decorilla interior designer, Laura A.
Rocking chairs have evolved a lot over the years, but the purpose of the rocker or glider has always the same. 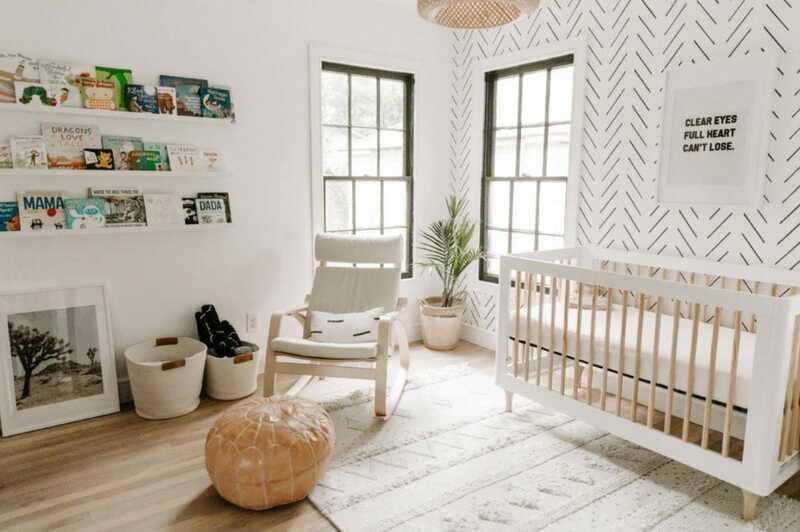 Comforting both the parent and the child, usually in an attempt to soothe the child or facilitate them while falling asleep is why a rocker is a fundamental part of the nursery design. A rocking chair made for a porch would not serve you well in the long-term for a nursery. The glider is like an enhanced version of a rocking chair. Its easier to move because it glides with just a fraction of the effort that it takes to keep a rocking chair in motion. Also, gliders are made to look like plush armchairs, making them useful beyond the nursery! These essential design elements will get you started when it comes to your baby’s nursery design ideas. The theme and colors that you add will bring all of it to life. 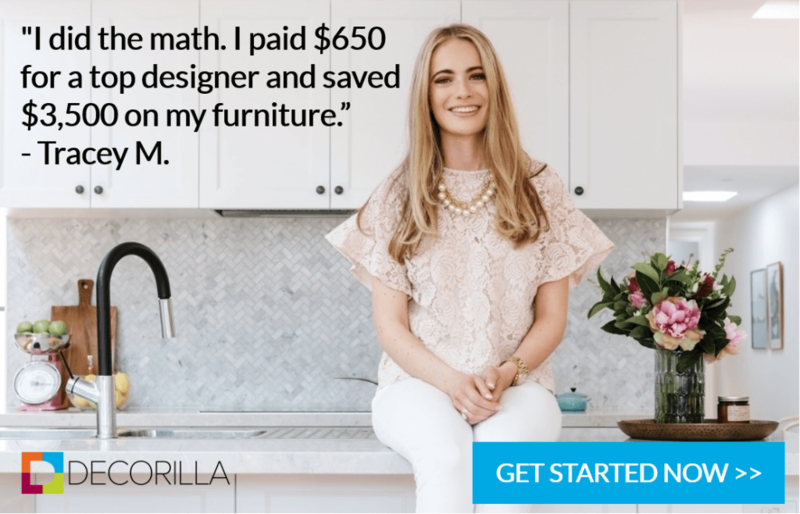 If you need assistance in pulling the entire design together, sign up for your free interior design consultation with Decorilla and get started today! Written by Decorilla designer Addie F.